Katy’s challenges are great for anyone at any fitness level. 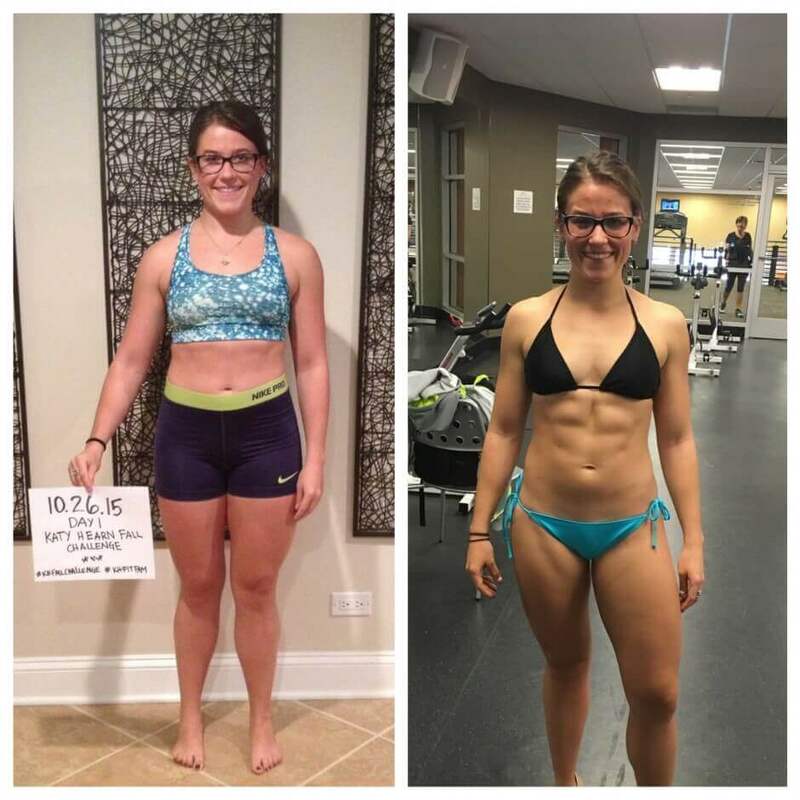 For me, Katy’s challenge was the next step toward a goal of mine – a figure competition. I have been a competitive athlete since a young age. I played soccer, swam and started competing in triathlons during college. With all of these sports, I dabbled in lifting, but didn’t get serious until a few years ago. I followed Katy on social media for some time and could tell she knew what she was talking about. I was making slow progress toward my goal, but I wanted to try speeding things up, so joined her fall challenge. From the beginning, everything was clearly explained – from the macros and nutrition to the exercises and movements. My previous fitness background allowed me to challenge myself with weight and reps. I found the way she paired the workouts to be a bit different than how I was doing so prior and making those little changes has been interesting and beneficial. My diet was the most difficult part of the challenge. I by no means had an unhealthy diet, but it certainly wasn’t as clean as it is now and for what it needs to be to compete. I am so thankful to Katy for helping me with her adjustments on my macros. She gives you all the tools you need! A foundation for flexible dieting, supplement suggestions, exercises, a day-to-day and week-to-week plan for the challenge and much more. It is up to you to get up and go after it! I also want to thank Katy for being supportive. When I was feeling defeated about my goal of competing because of some reactions I would get from others, she reminded me that this is my life and I choose how I want to live it. It was very touching and uplifting to find someone who only knew me through email, but felt like an encouraging friend from the get-go. I am so excited to continue and see what the future has to hold!